My pest situation has officially been treated! A dude came to my apartment, showed me the art of home inspection (he told me I have a good eye. Win), we killed some bed bugs together and then he (hopefully) brought down the BED BUG APOCALYPSE on my room. I keep imagining that episode of South Park with the lice and hoping that’s how they feel, but that there isn’t some sort of rebel camp where a few have survived. Anyway, the next few months of my life will be dedicated to vacuuming everything I own and pulling all of my clothing out of the giant plastic bags they’re stored in. 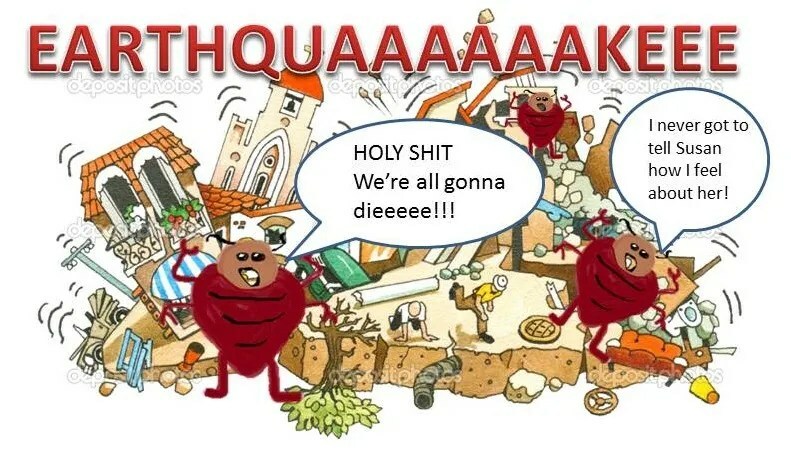 I think so far the worst part of having bed bugs has been the knowledge of how suddenly it happens. One day, you’re sleeping soundly and using your floor as an extra shelf for all your personal belongings and all of the sudden you finding yourself hyperventilating every time that someone brushes up against you in a public place. I have to keep reminding myself that this is a small thing in life. 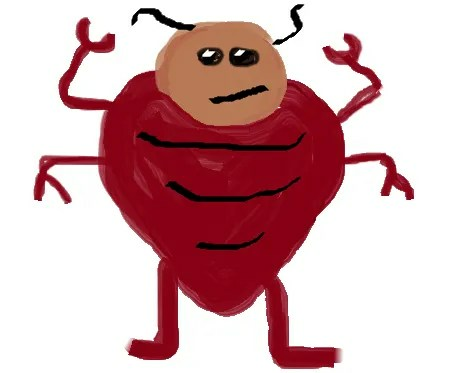 Shootings, bombings, cancer, even getting your heart broken are all things that are worse than bed bugs. Brains don’t really work like that though (at least mine doesn’t), and it’s hard to keep things in perspective. So, as usual, the only way that I can think to cope with the fear of the bed bugs returning is to think of them as my 5th through 27th roommates. If they do return, I will try my hardest to be the worst roommate ever to the bed bugs. 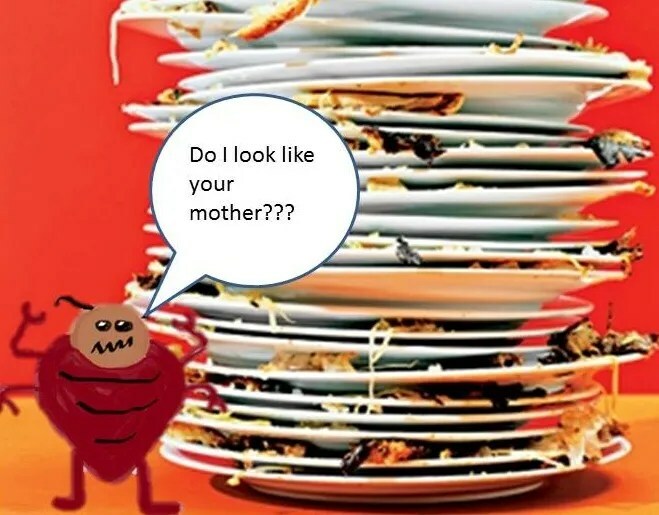 After all, I know how to annoy my human roommates… it can’t be that much harder to annoy insects. Right? Here’s what I’ve come up with so far. Let me know if you’ve got any suggestions in the comments section! 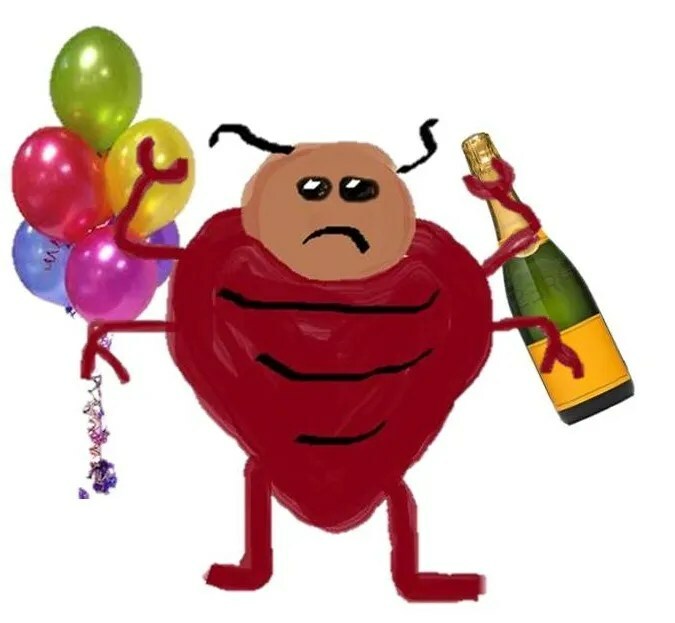 Everyone knows that bed bugs are the type to bring cheap champagne to the party and the drink the expensive kind that someone else brought. I wonder how they feel about crumbs in the bed? 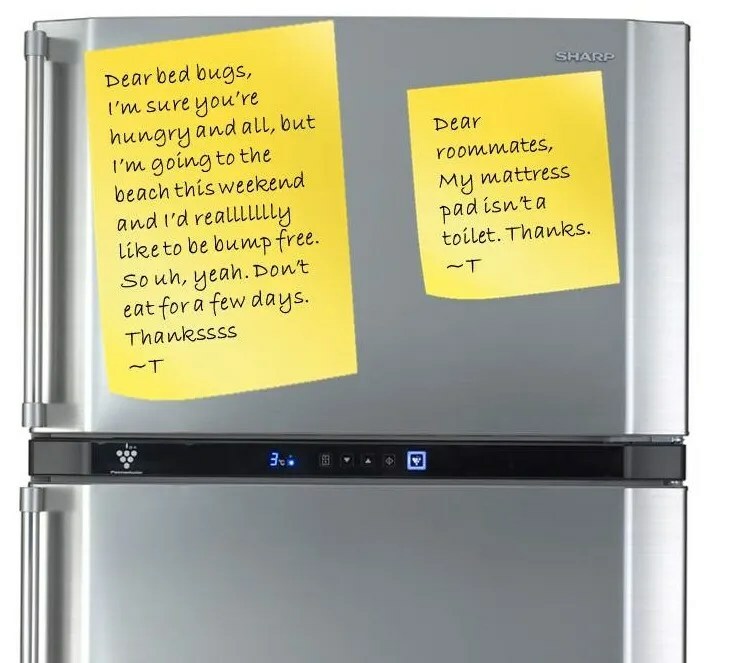 Also I have found passive aggressive fridge notes to be very effective.